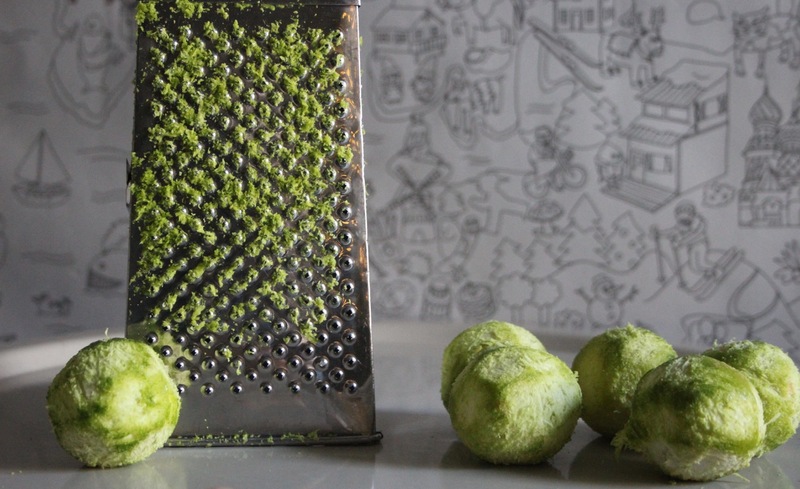 Snowy Lime Cookies — so pretty! It has been snowing a lot in many parts of the globe, but here in London we are longing for a winter wonderland moment to happen. 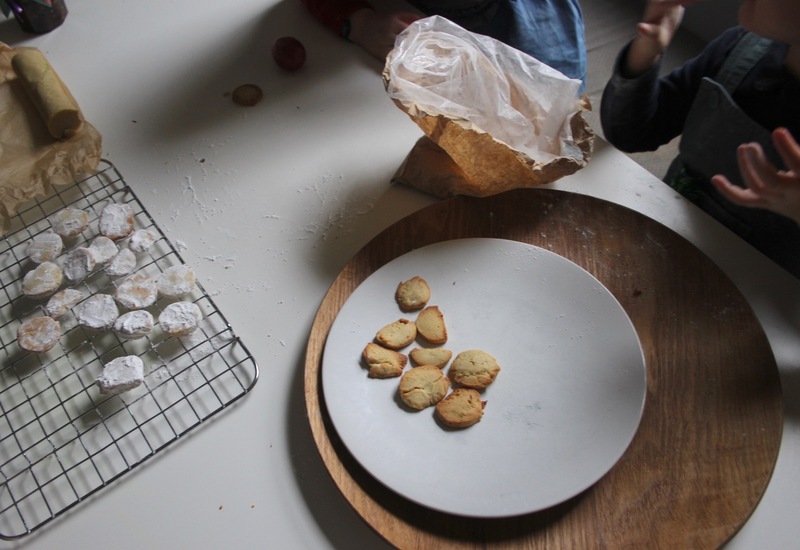 Ok, we may be the only ones waiting, and we know the snow had been relentless in much of the US this winter, but that should not stop anyone from making these snowy cookies. They’re simply divine! They are unlike the spiced cookies normally associated with winter, so would be perfect for those in sunny Australia (Courtney!) to snowy Scotland (Vanessa!) and everywhere in between. 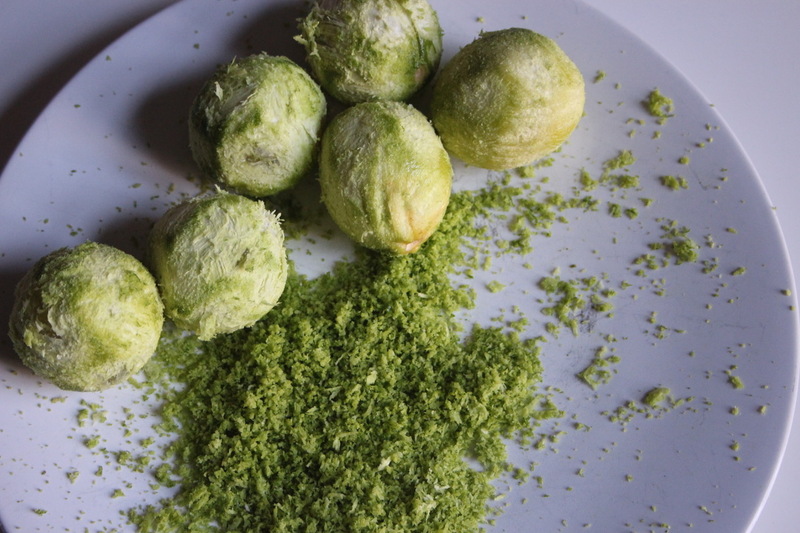 Zesty, crisp but not too crunchy, sweet but not saccharin, and mouthwateringly delicious. The last step (before inhaling!) 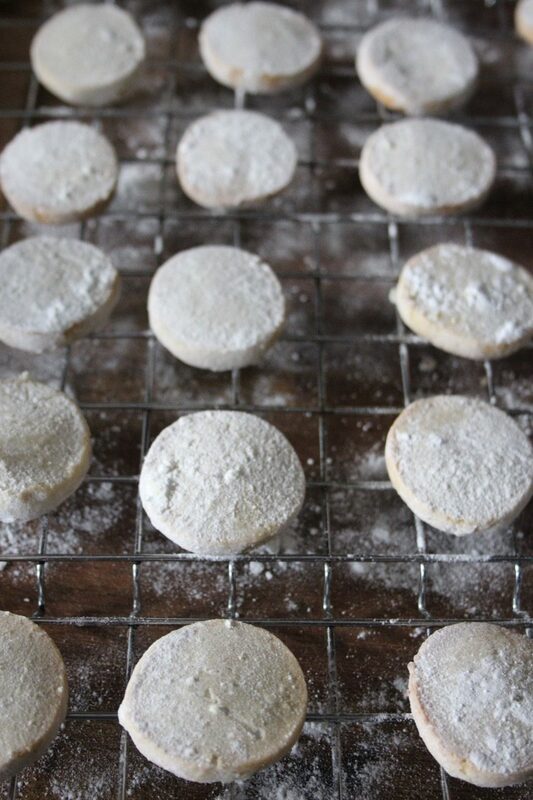 is to shake them in a little bag of icing / powdered sugar…. hence that soft snowy outer layer. It is by far my daughter’s favourite part of helping with these cookies. It is the icing on the cookie. And it just makes them so very pretty. Like a little magical snowy button. I first spotted this recipe on Martha Stewart, and then my favourite Deb from Smitten Kitchen also adapted it and upped the recipe a notch. So basically it gets two big rounds of applause from two incredible bakers. I have tweaked it slightly after making in numerous times myself. And these are by far one of our favourite cookies ever. I usually make a double batch of this recipe, they store nicely in little parchment bundles in the freezer, so you can have them ready for guests and little cravings. They are crowd pleasing cookies, so much so that we already have cookie recipients waiting for theirs next year! In an electric mixer fitted with the whisk attachment, cream butter and 1/3 cup icing sugar until fluffy. 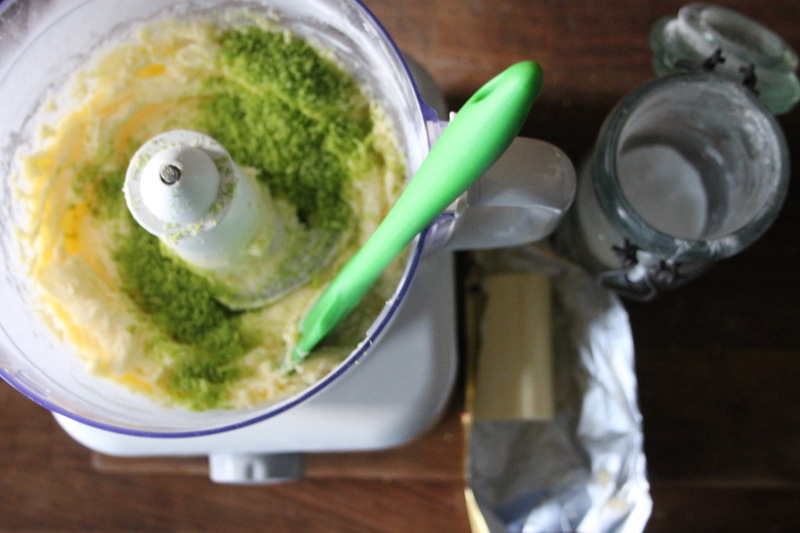 Add lime zest, juice, and vanilla. Beat all until fluffy. 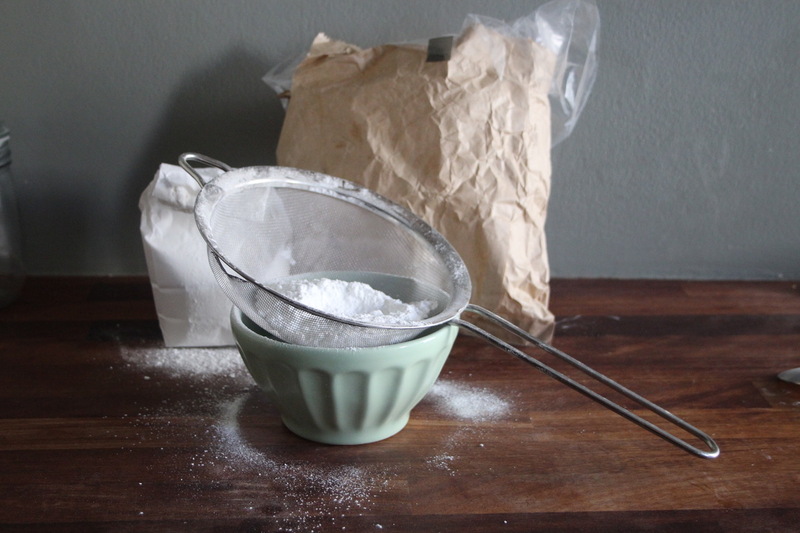 In another bowl, whisk together flour, cornstarch, and salt. Add this to the butter mixture, and beat until combined. 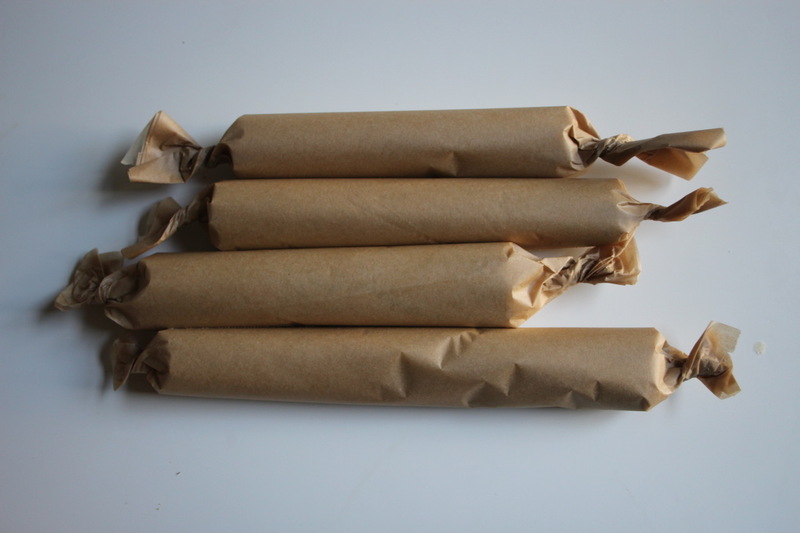 On parchment paper, form dough into two 1 1/4-inch-diameter logs. Chill in the fridge for at least 1 hour. Heat the oven to 175 C or 350 F. Remove parchment from logs. 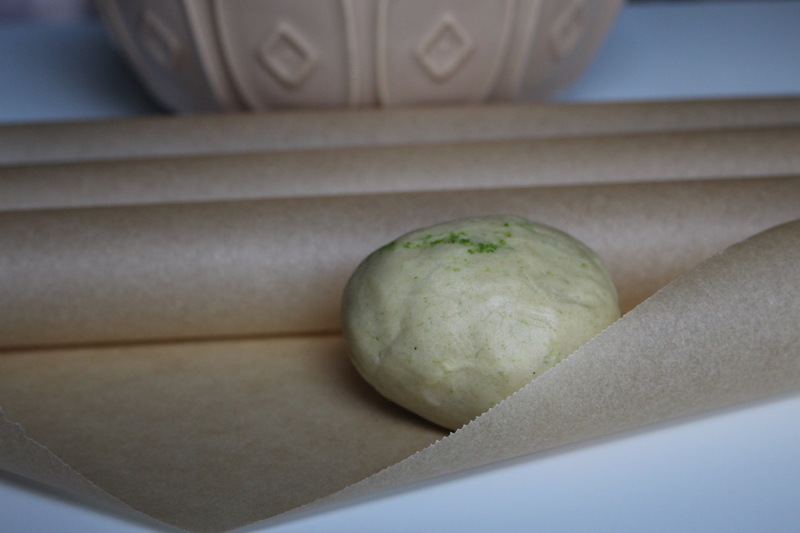 Slice the dough into 1/4-inch-thick rounds. (like thick cucumber slices). 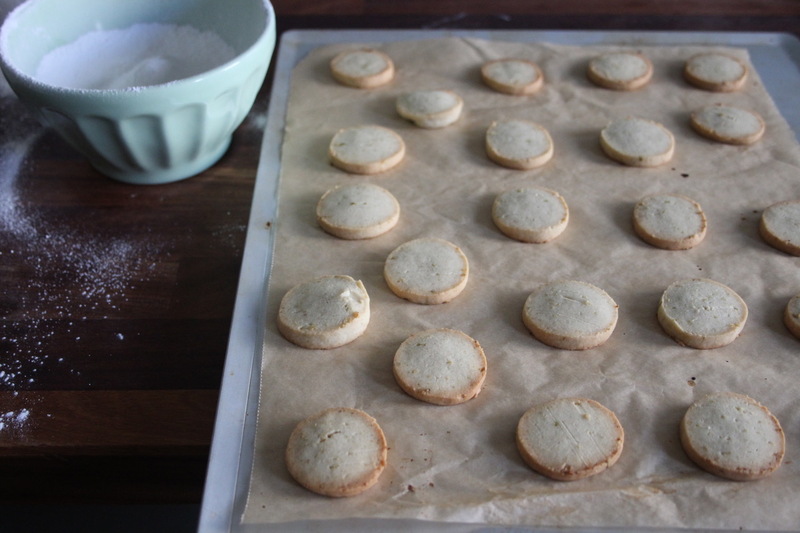 Reuse the pieces of parchment paper from the rolls on your baking sheets to bake the cookies. Place rounds on baking sheets, spaced 1 inch apart. Place remaining 2/3 cup sugar in a brown paper bag, or in a plastic bag. While cookies bake. Bake cookies until barely golden, about 15 minutes. 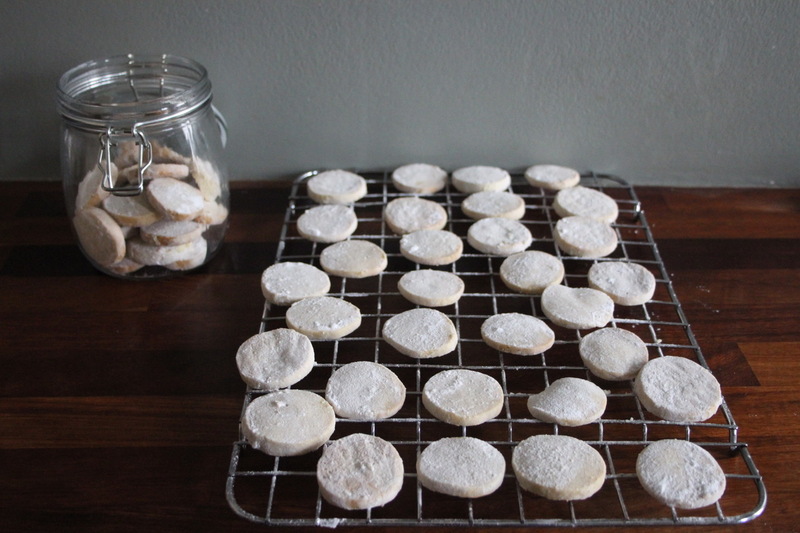 Transfer cookies to a wire rack to cool slightly, just three or four minutes. While still warm, place cookies in the sugar-filled bag. And let the snowy shaking begin! Store baked cookies in an airtight container for up to 2 weeks. Or for 5 weeks in the freezer. ps Have you tried these sugar cookies? They are one of our other favourites for a classic cookie treat! Yummmmmm – we will certainly be giving these little treats a try 🙂 Possibly more for us than our littles! Here in Prague we have had a little snow so they will fit right in. Lara – thanks for these, they look wonderful. Would love more about what you all make/feed your families when you have no time – does breed and cheese count for dinner? I made Esther’s quiches so often!!! Oatmeal Blueberry Cups -- a great breakfast and on-the-go snack too! The Simplest and Healthiest Fruit Ice Lollies!